We observed this man at the beach. We stayed long enough to determine that: Yes, he arrived and departed with his sign, carefully folding it along with his chair and book, before returning all parts to the trunk of his car. This is one dedicated individual. 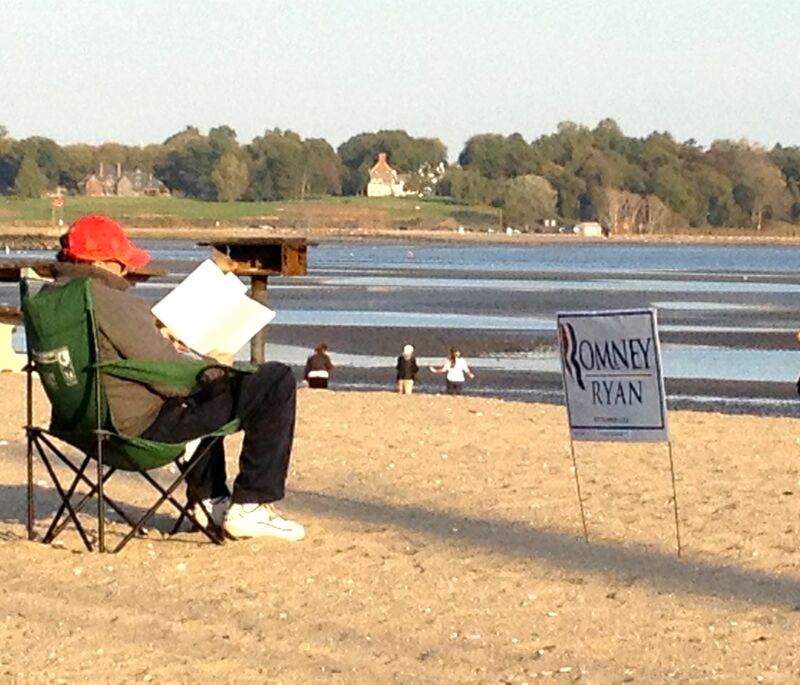 Let Me Count the Days: Homeschooling is enjoying the local political scene while drinking coffee at the beach. I shared this photo with my third graders today, because we are learning about peaceful demonstrations in social studies. Perfect timing- thanks for posting! P.S. Your family (and home) are in my thoughts and prayers right now. So glad your third graders could enjoy this photo. Miraculously, our house survived. We are very grateful. Thanks for the prayers. They are working.